2009 marks the 40th Anniversary of the popular “Virginia is for Lovers” tourism slogan that many of you Virginia wine lovers have seen on bumper stickers and featured at wine festivals. 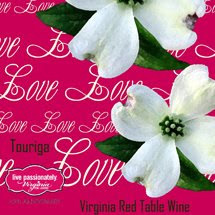 You may even have picked up the annual Virginia is for Lovers magazine on one of your trips to Virginia wine country. “Virginia is for Lovers” is truly your one stop shop to plan a day, weekend, or extended trip in the beautiful state of Virginia. Everything from lodging, resorts, dining, things to do, shopping, etc., is covered on the web site, as well as the magazine. Try the Grayhaven Touriga and many other limited edition wines! Virginia is for Lovers 40th Anniversary will be celebrated with a “40 trips in 40 weeks” sweepstakes, travel deals, special events, and many more fun-filled opportunities throughout 2009. Additionally, in honor of the 40th Anniversary of “Virginia is for Lovers”, select Virginia wineries have bottled limited edition anniversary wines to celebrate the occasion. 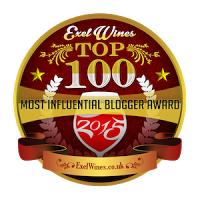 Click here to see the listing of participating wineries. Bottles can be found in the tasting rooms of the participating wineries starting this month. Don’t forget to bookmark the "Virginia is for Lovers" homepage, friends – it is truly an invaluable resource for Virginia wine lovers!